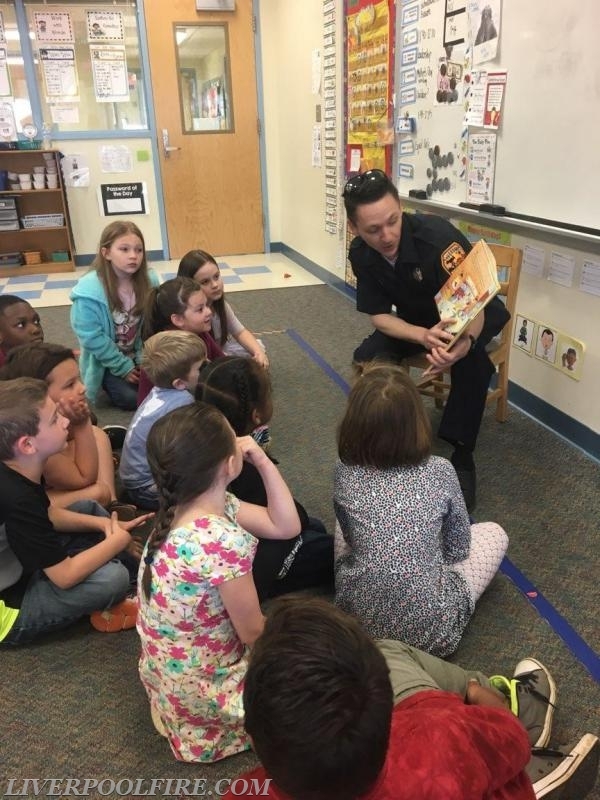 Liverpool Firefighter Jason Maddison attended Long Branch Elementary School’s Career Day on May 7 and read a book to students. It was a great opportunity to show the students future options for volunteering in the community. 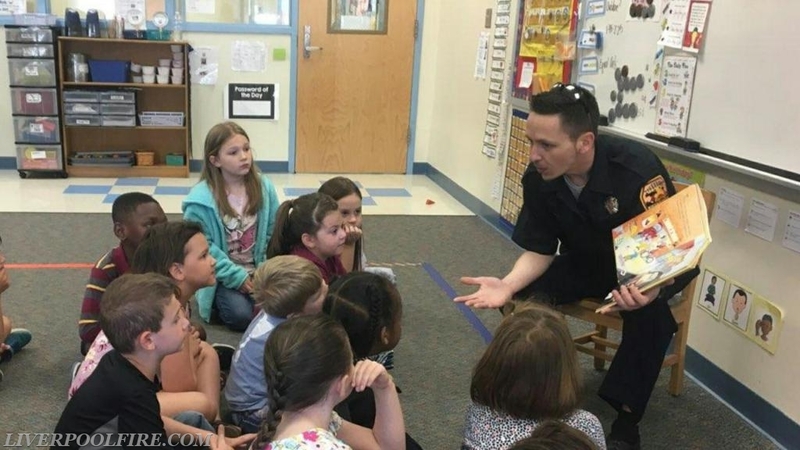 The Liverpool Fire Department has an Explorer Program for students 14-15 years old and a Junior Firefighter Program for students 16-17 years old. With each of these programs, the teens have the ability to learn about the fire department and train with members. 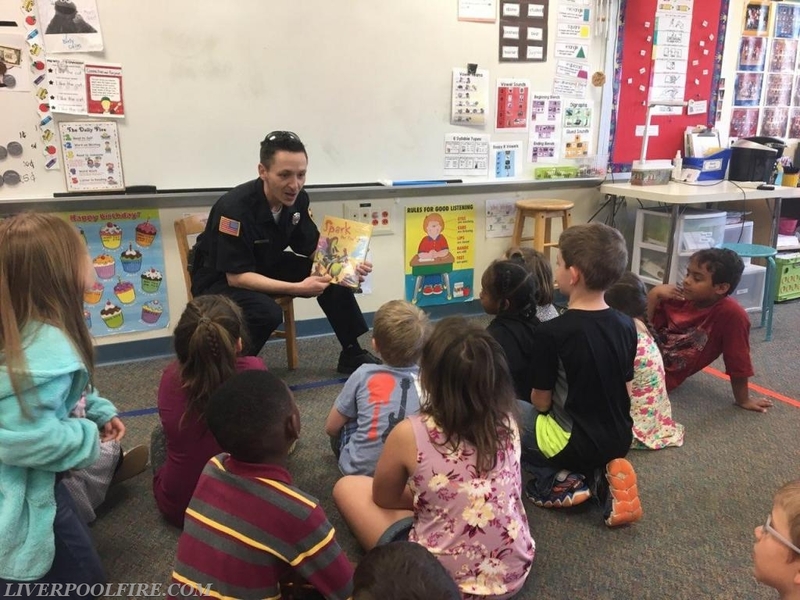 The Liverpool Fire Department is 100% volunteer and provides service to the Village of Liverpool and parts of the Town of Salina. The department responds to approximately 1,700 calls for help annually including EMS, Fire, Vehicle Accidents and Water Rescues. To become a member, visit our web site at www.liverpoolfire.com or call 315-457-6347.